The British Army’s presence has been one of prominence in the UK enduro scene since as long as I (new editor) became involved in it since in the late 70’s. 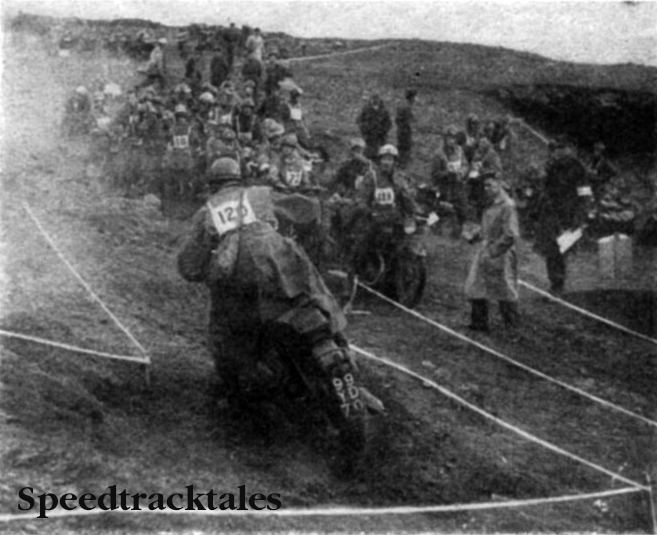 At that time Service teams were both prominent with a long legacy of support for the sport including help for non service participants, certainly since the 1930’s. Not only did the service teams take part in events but without access to the British Army’s greatest training areas in the Brecon Beacons National Park it may have been difficult for anyone to have organised the several ISDT events that took place in Wales. The British Army Motoring Association has overseen motorsport within the army since 1960. I even recall being told that when British Parliament introduced legislation limiting participants in road going motorsport events to 180. As a result of British Army interventions to government, both the ISDT and the Welsh Two Day Trial were given exemptions because of their importance in the Service training regimes so that they were able to get sufficient entries for service teams without it being at the expense of civilian competitors.